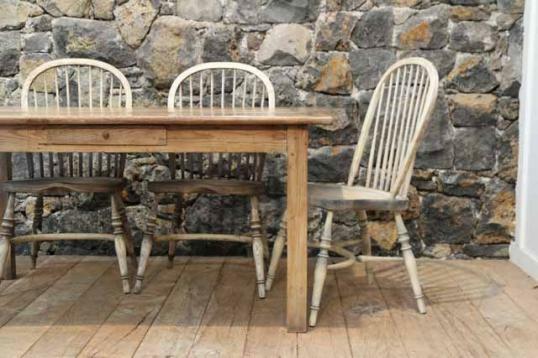 These ash Windsor chairs are the most comfortable dining chairs you have ever sat in. They come from England and have been bleached to complement some of our bleached, blonded or pale dining tables (stock #9032, #9012, #8034). They can also be polished (stock #452). If you are interested in this piece or would like more details please call us on +64 9 529 1660 or email info@js.co.nz quoting #90-37.